We are sad to announce the passing of our wonderful Grandfather on January 6, 2013. He leaves us with his courage, inspiration, love, as well as his Legacy. We will be carrying on his good work, continuing to offer his book to the public, as well as developing his dream of inspiring youth to read as well as setting as example to the older crowd to “Never Give UP!”. We will continue to fight Illiteracy in his honor and help to make our world a happier place. Thank you Mr. Jim Henry. May you rest in Peace. Order your copy of the book here or visit our local retailers, Bank Square Books, Mystic Seaport Museum Bookstore, and Other Tiger, in Westerly, R.I. please allow 3-4 weeks for shipping. To all bookstores: We will have books available to bookstores, just shoot us an email. James Arruda Henry was in his mid-nineties when he began to learn to read and write. 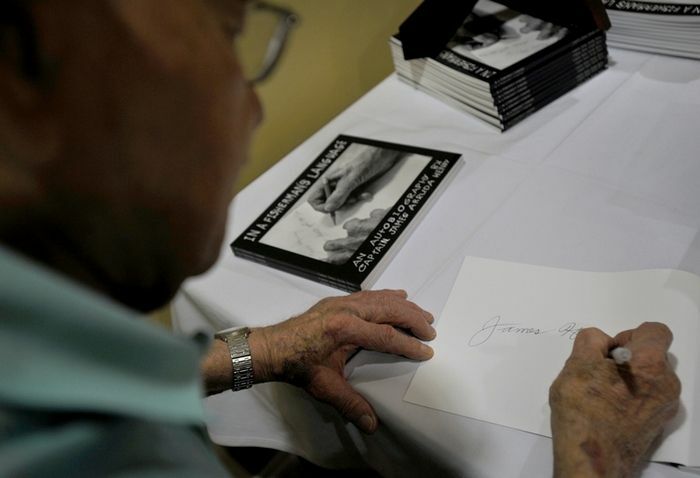 For over nine decades he had lived successfully without being able to sign his own name. hard work and determination can redefine a person at any age. 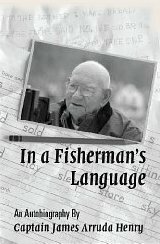 If you would like to help James, please write a review on Amazon -or anywhere we can spread his good word.